The depth of the chasm, called the First Gorge, varies from 80 metres (260 ft) at its western end to 108 metres (354 ft) in the centre. 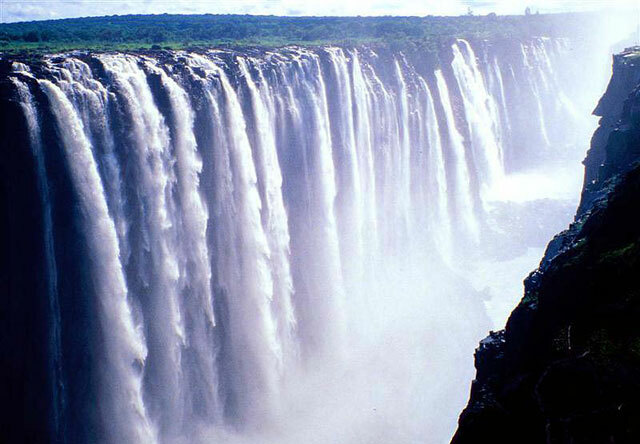 The only outlet to the First Gorge is 110 metres (360 ft) wide gap about two-thirds of the way across the width of the falls from the western end, through which the whole volume of the river pours into the Victoria Falls gorges. The place has grown to be a top African destination for tourism, leisure recreation and other outgoing activities. ATI as an African institution with an African clientele, we are proud to be providing team building activities in such a place. We host training and team building activities in Victoria Falls for group bookings. Our classes run up to lunch hour and the afternoon gets packed with various activities ranging from water based in Zambezi river up to land based in resort hotels.